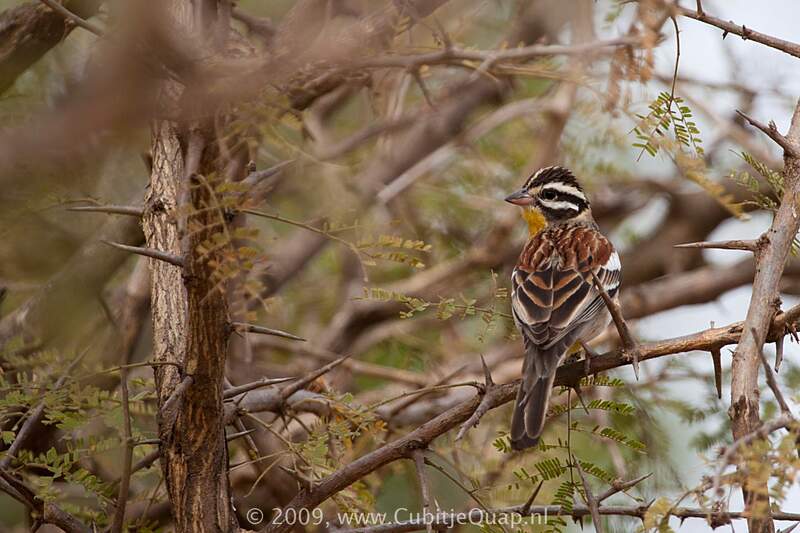 Altough very similar to Cabanis's Bunting, this species differs in having a white stripe below the eye, a chestnut (not greyish) mantle, and a richer yellow breast, washed with orange. The white wing bars are consicuous in flight. Thornveld, broad-leaved woodland and exotic plantations. A nasal, buzzy 'zzhrrrr'; song a varied 'weechee, weechee, weechee'.